CarGurus has 5,096 nationwide MKX listings starting at $3,900. 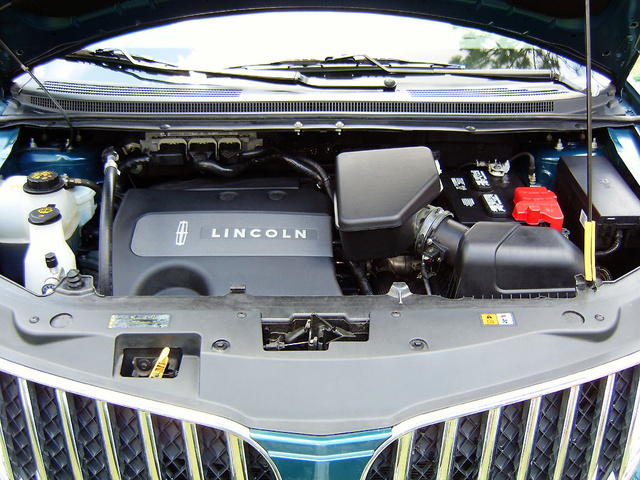 Standard MyLincoln Touch gets added to scads of state-of-the-art gizmos, loads of cabin and cargo room, a luxurious ride, and the significant facelift that marks the 2011 Lincoln MKX. Some distracting automatic transmission issues and a distinct similarity to its Ford Edge cousin won't win the 2011 MKX a whole lot of prizes. The new-look 2011 Lincoln MKX still won’t be mistaken for a Lexus or an Audi, but squint hard enough, and it’ll be way edgier than its Ford clone. All in all, the new MKX is a decent luxury crossover, but not quite distinctive enough to become legendary. 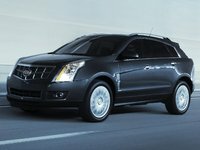 Refreshed and rejuvenated, the 2011 Lincoln MKX midsize luxury crossover again takes on the Caddys, Lexuses, and Audis of the world. Exterior changes include a new “split wing” grille and front wheel arches, as well as re-positioned LED taillights. A major convenience addition is the MyLincoln Touch user interface, which allows drivers and passengers to adjust climate control settings, use the standard SYNC/Bluetooth hands-free phone system, manipulate audio settings, or get instant vehicle performance information. Additionally, the MKX’s new drivetrain includes a bulked-up V6 and auto-manual transmission that’s touted to be more powerful yet more fuel efficient than the 2010 version's. Finally, a new, beefed-up brake system provides the MKX with increased stopping power, giving owners a chance to show off its restyled standard 18-inch or available 20-inch alloy wheels. Once more, this luxury-oriented five-passenger midsize mini-'Ute is available in two trim levels, the front-wheel-drive (FWD) Base and the traction-heavy all-wheel-drive MKX AWD. Needless to say, both trims feature 69 cubic feet of cargo space with the rear seats folded, and both are tuned for a smooth ride, with a driver-selectable transmission mode for a marginally sportier driving experience. The 2011 MKX is designed to compete with the Lexus RX 350, Cadillac SRX, Audi Q5, and BMW X3 crossovers. Most reviewers claim that the MKX’s recent tweaks ought to improve its market position, but cite a bit better build quality, higher reliability, and improved refinement for similar pricing in much of its competition. New for the 2011 MKX is a 3.7-liter variable-valve-timed V6 powerplant that pairs with the new six-speed auto-manual transmission to pound down 305 hp at 6,500 rpm and 280 lb-ft of torque at 4,000 rpm. A driver-selectable mode in the six-speed allows a bit more elan in the driving experience, if desired, as well as standard brake hill holding. Though mistakenly anticipated to boast a turbocharged 3.5-liter V6, the MKX, alas, still packs a naturally aspirated engine, but with deceleration fuel cutoff and variable valve timing, this mill is estimated to get an improved 19/26 mpg for the FWD version and 17/23 in the AWD configuration. There are some who feel this fuel efficiency approaches best-in-class status, at least in the FWD trim level. Towing capacity, meantime, maxes out at 3,500 pounds on the standard trailer hitch and wiring, while a center-mounted limited-slip differential backbones the full-time AWD trim. According to numerous reviewers, though not exactly a jackrabbit off the line, the MKX Base is noticeably quicker than its AWD sibling in getting its nose in gear. Both trims also have plenty of power in reserve for merging and passing. The six-speed auto-manual is almost unanimously described by reviewers as ultra-smooth and highly intuitive in the auto-manual mode, though occasionally slow on the uptake when used strictly as an automatic. Traditionally equated with a plush, often too-plush, ride, Lincoln seems to have found a nice balance between ride comfort and road feel with the 2011 MKX. A four-wheel independent suspension with MacPherson front struts, as well as front and rear stabilizer bars and a multi-link rear end complement the standard 18-inch wheels for a notably stable and reasonably jolt-free cruise. Opting for the 20-inch wheels firms up the ride somewhat, but still delivers better-than-average ride quality, according to most reviews. Those expecting grand-prix-like handling will be a bit disappointed, but the MKX shows only moderate body lean through fast corners, and most reviewers note that its wider tires demonstrate a remarkable capacity to hold a firm grip on the road. Some reviews, however, find the newly installed Euro-style hydraulic steering, though excellent for highway cruising, to be more than a bit ponderous for the lower speeds mandated by city streets. As many reviewers note, this snazzy crossover is built for comfort rather than alacrity, but acquits itself tolerably well when pushed. Braking is, thanks to beefed-up rotors and calipers, superior to that of 2010 versions, though a bit of pedal softness is still detectable in road tests. Overall, the MKX shows that it deserves its reputation for a comfortable, if somewhat staid cruise on the highways and byways. Most reviewers, indeed, expressed pleasant surprise at the plush yet confident handling displayed by this re-tuned luxury CUV. Let it not be said that the 2011 Lincoln MKX suffers from a lack of state-of-the-art techno-gizmos. Standard SYNC voice-activation for communications, audio, and navigation functions, and the over-the-top MyLincoln Touch adaptable touch-screen controls are but two of the envelope-pushing, gee-whiz goodies delivered with this pleasant crossover. Meanwhile, standard leather upholstery, eight-way power-adjustable, multi-level heated front seats, reclining, split-folding rear seats, and power liftgate, just for starters, are also standard. Digital keypad power door locks, power windows, and heated outside mirrors with driver’s-side auto-dimming feature, telescoping tilt-wheel steering with wheel-mounted audio and cruise controls, keyless ignition, remote engine start, universal garage door opener, dual-zone climate control, leather, wood, and alloy steering wheel, dash, and cabin trim, memory for driver’s settings, a single-CD player with 10 speakers, satellite radio, and a USB connection round out a dizzying list of additional standard amenities. Options include 20-inch alloy wheels, rear-seat DVD entertainment, and THX II-certified audio with 5.1 surround sound, 600 watts of power, and 14 speakers. Voice-activated DVD navigation, power-operated Panoramic Vista sunroof, a rearview camera, push-button start, Class II trailer prep, and wood appliqué accents round out available extras on the 2011 MKX. A few reviewers note that the highly touted MyLincoln Touch system seems to be going through some understandable teething pains, but when functional, ought to revolutionize the way drivers can configure cabin ambiance. Otherwise, most reviewers consider the MKX’s cabin spacious and luxurious, with decent cabin storage and pillow-soft yet long-haul-comfortable seating. A few upgrades to the leather upholstery and cabin colors and textures have seen favorable reviews, while such techno-wizardry as MyLincoln Touch and Ford’s ultra-popular SYNC system has a number of reviewers wondering when simply thinking a particular comfort, entertainment, or convenience application will make it happen. Others, however, point out that the MyLincoln Touch feature may prove to be a tad distracting. 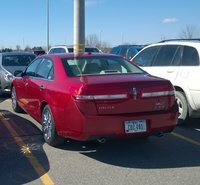 Time, and insurance claims, will tell. Since its relabeling from the old Aviator monicker in 2007, the MKX has consistently received pretty fair safety marks from both the National Highway Traffic Safety Administration (NHTSA) and the Insurance Institute for Highway Safety (IIHS). The 2011 trims should continue the tradition through featuring such standard safety equipment as four-wheel disc ABS with emergency braking assistance and electronic brakeforce distribution, traction and stability control, dual front side-mounted airbags, front and rear head airbags, remote anti-theft alarm, rear parking sensors, front fog/driving lights, SYNC Vehicle Collision Notification and Airbag Deployment Notification, and the well-regarded MyKey speed and volume modulation system. Optional safety technology includes adaptive cruise control with collision warning and emergency braking support, and the BLIS blind-spot warning system with cross-traffic alert. The NHTSA gives the 2010 MKX five and four stars for front and passenger side impact protection, respectively, and five stars for rear passenger protection. Additionally this luxury mini-‘Ute gets four stars for rollover protection in both Base and AWD configurations. The IIHS gives the 2011 MKX its highest rating of Good in front and side impact testing, and its second best rating of Adequate for roof strength. The 2011 MKX has just gone on sale, thus current owner reviews are decidedly lacking. Certain of its upgrades should, however, address such complaints from owners of the 2010 MKX as tepid mileage and lackluster interior materials. Even those few owners who were frustrated by a somewhat cluttered dash ought to be more than pleased with the high-tech MyLincoln Touch system that eliminates many of those pesky old-fashioned buttons. Meanwhile, such advantages as ride comfort, standard and much-appreciated SYNC technology, a roomy and well-appointed cabin, as well as updated styling and a more potent powertrain, should have owners of this princely crossover smiling. 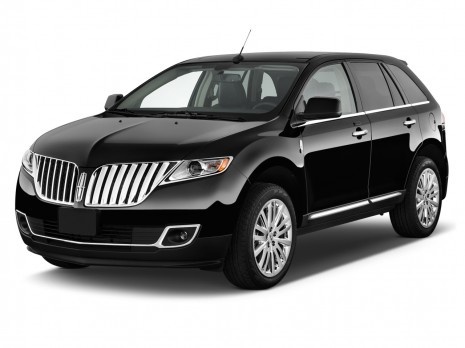 What's your take on the 2011 Lincoln MKX? 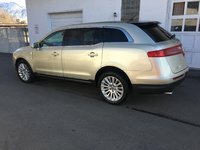 Have you driven a 2011 Lincoln MKX?